After landing at your Paris airport (or Paris train station) and having gone through customs, you’ll meet your driver who will drive you to your hotel in Paris. You’ll be able to check in, and depending on your arrival time, the room may be ready for you. If your plane lands in the morning, the room may not be ready yet, but you’ll get a chance to leave your luggage at the hotel so you can start your discovery of Paris. Your coach will now bring you to the top monument in Paris: the Eiffel Tower. You’ll go through the entrance skipping the line (not the security lines, though). You tour ends here, so you can take in all the time you want at the Iron Lady. Most people stay between 1.5 and 2 hours. Please note that you ticket inlcudes ticket to the 2nd floor, but you can purchase the ticket for the top floor on the spot (it costs about 3 euros/person) and the lines are very short. After your self-guided visit tour, spend time exploring other parts of the museum at your own pace. 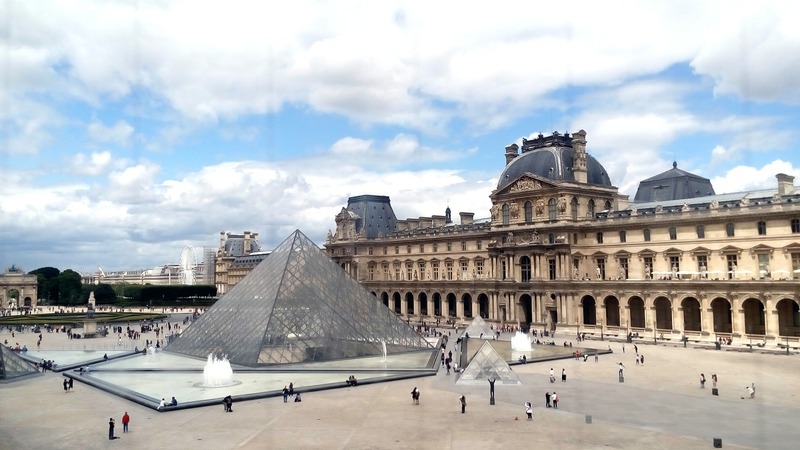 There are a few restaurants close to the Louvre where you will be able to enjoy a typical lunch. Once in Montmartre, go up the hill. You can take the little ‘funiculaire’ train to go up the hill. Once at the top of Montmartre, enjoy the incredible view of Paris. Stop at the Sacre-Cœur, and go to the little village where the Moulin de la Galette still stands. Take the hop on and hop off bus to get back to your hotel. When you are ready for your transportation back to the Paris airport or Paris train statin , your driver will pick you up. Round Trip shared shuttle airport to your hotel. 1 night accommodation (based on double room) in a selected 3-star hotel, breakfast included. Skip-the-line Eiffel tower entrance ticket. 2-day pass on the Paris hop-on and hop-off buses. Louvre guided visit with skip-the-line entrance ticket. PLEASE NOTE: Prices are based on 2 people traveling together. A single supplement of $99.00 will be assessed for all reservations made for 1 person only.